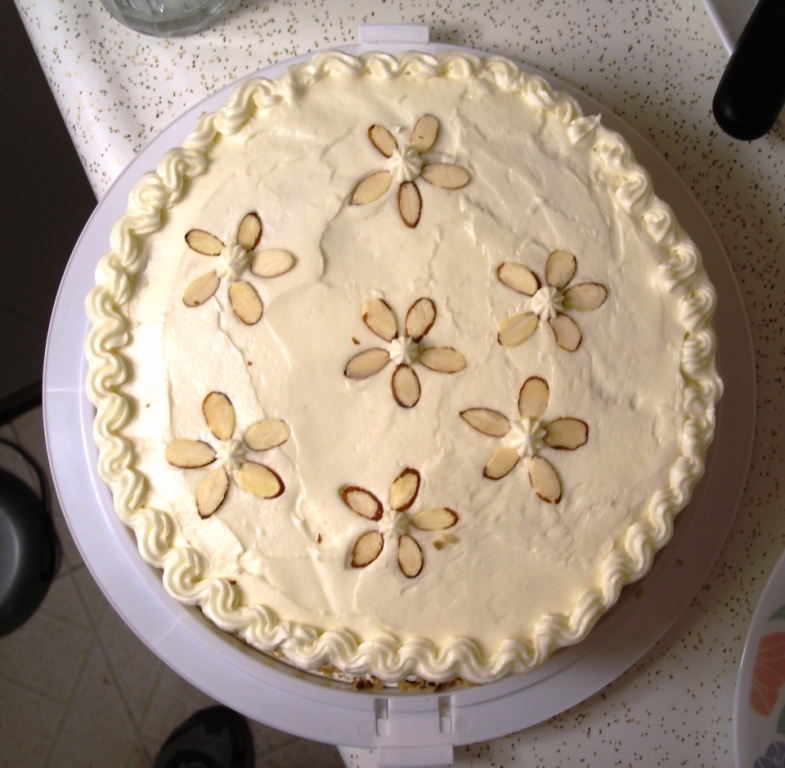 Carrot cake gets better after sitting for a few days, so I’ll stick everything in the fridge at work tomorrow. And since for the next two days I’ll be looking forward to eating cake on Wednesday, it’ll taste even yummier then. Sweet! The crushed pineapple and the coconut make it interesting. 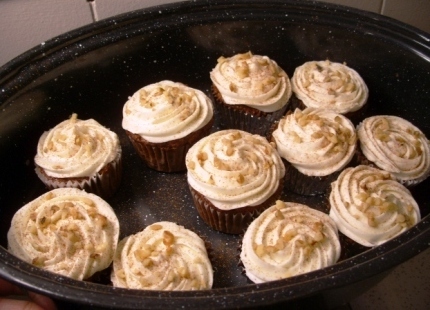 I gave loaves of carrot cake (and apple spice cake) to coworkers for the holidays. Everyone loved it! That looks amazing! I may have to venture CFI-ward Wednesday to taste (and bring something to share, of course). 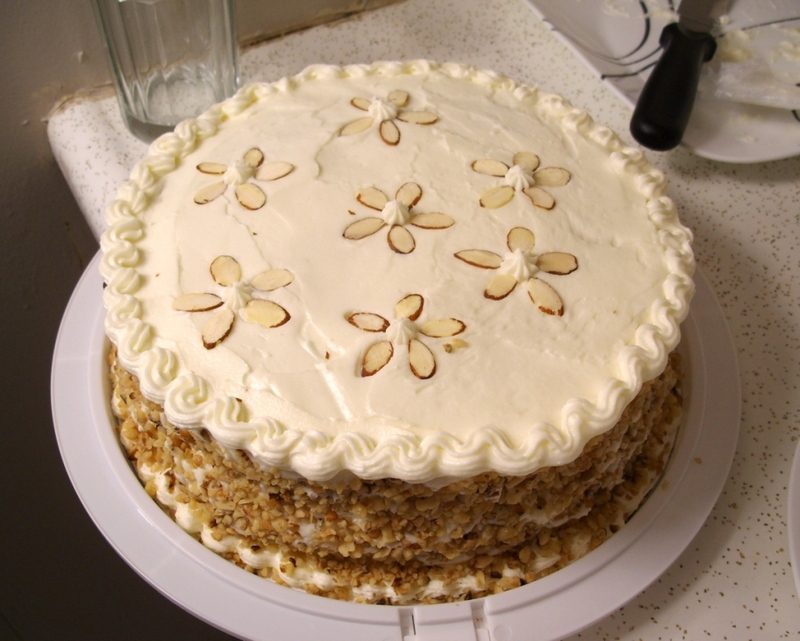 Doods, just to let you know, the carrot cake is damn delicious. I’m eating a second piece RIGHT NOW. Yum! Two thumbs up to the recipe.